We believe that our workshops are fantastic places to nurture the engineering talent of the future, and working on custom made products means our apprentices are exposed to the widest range of engineering challenges. 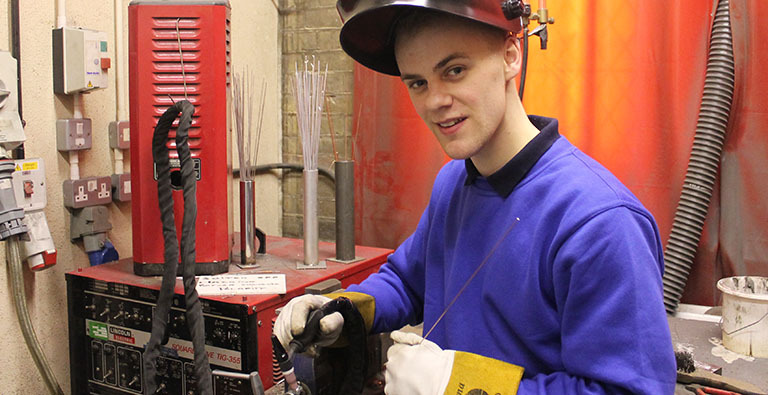 Our apprentices learn to produce equipment to an outstanding quality and finish. We believe DEMAND’s hands on apprenticeship programme is the only opportunity in Europe, (or maybe even the world!) for young people to learn how to make disability equipment for such a broad range of users, from babes in arms to nonagenarians. In the long run we hope that this initiative keeps fast dwindling engineering craft skills from disappearing altogether and plays a positive role in maintaining the manufacture of high quality disability aids in the country. Funds allowing we hope soon to grow our apprenticeship programme and double the number of apprentices in training at any one time. If you’d like to support our one-of-a-kind apprenticeship programme, get in touch!